Have you joined our "My Happy Hour Moment" Contest season 2? 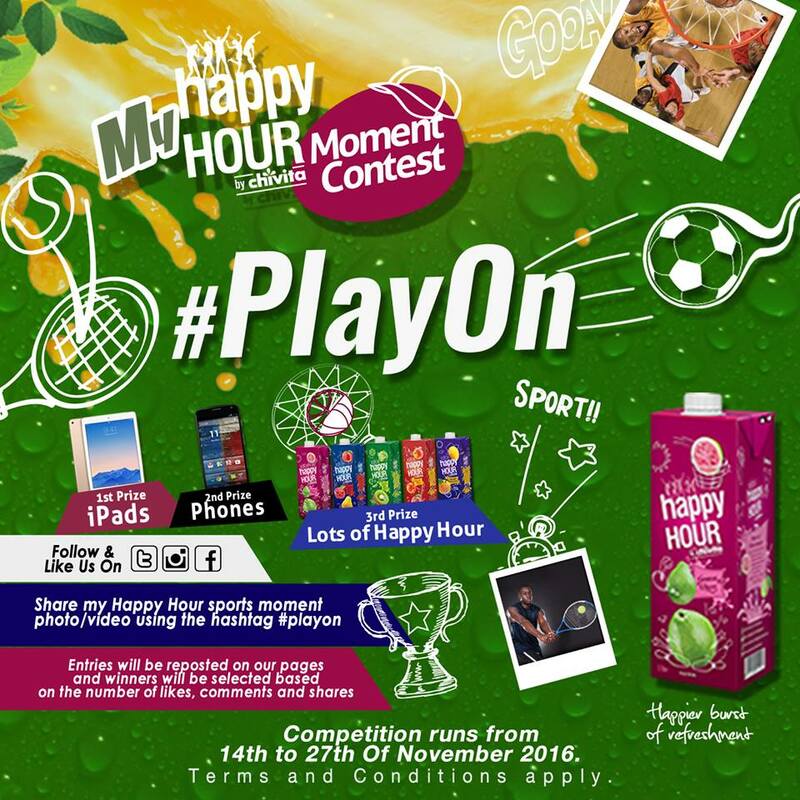 Join now and Win 3 iPad Tablets, 3 Smart Phones & Cartons of Happy Hour Juice. 1. Share your Happy Hour sports moment using a photo/video. 2. Don't forget to tag us using the hashtags #Playon and #happyhourbychivita so we can find your entry. 3. Entries will be shared on our pages. 4. Winners will be selected based on number of likes, comments, shares, replies and reposts of each entry. P.S. All entries must have a clear Happy Hour by Chivita new pack . Competition Ends on 5th December, 2016.